This article discussed the many septic tank safe household cleaners on the market today. The typical homeowner is a very prudent consumer. He or she always makes sure that every purchase is a real benefit to everyone and everything in the house. The furniture should last almost a lifetime; the food should be nutritious and filling; the clothes should be stylish, practical, and resilient; the utilities should be well spent; and the car should serve almost every purpose. One of the things that homeowners also focus on is their septic tank. As you know, the septic tank is a very valuable component of the septic system. This is the first vessel where the wastewater is collected from the home. In it, three layers are formed—the scum, the effluent, and the sludge. The scum is the layer of light weight solid materials found on the surface. The effluent is the clear middle liquid layer that doesn’t have any solid materials. The sludge is the bottom layer where the solid waste products settle and where the anaerobic bacteria take action and break them down. It is the septic tank that gains all the hype because this is the primary treatment area of the wastewater. When something goes wrong in this component, then the drain field will perish. As a homeowner yourself, you should know how valuable it is to have a working septic tank. The three layers should be independent of one another and should not get mixed together. If the effluent retains the solid waste when it enters the drain field, then it will be blocked and the entire system will eventually malfunction and fail. One of the best things that you can do to ensure the good condition of your septic tank is to seek out septic tank safe household cleaners. This is an all-natural cleaner that is acidic but gentle on the septic tank. This also leaves a summer, refreshing smell on anything that you use it with. You can combine baking soda with vinegar. Just pour them into the drain and wait a few minutes before pouring the hot water. You could also use this to clean your tiles, sinks, stove tops, and bathtubs as well. It is easy to do this when you make a paste out of it, apply it on the surface you want to clean, and then rinse it thoroughly with water. This is effective in cleaning a the septic tank without harming the bacterial population. Ground glass is the precursor of this cleaner. Purchasing a cleaner like Earthstone helps in recycling glass. You can find vinegar in your pantry or spice rack at home. It has long been used a natural household cleaner that also has acidic properties. Just mix it with water in a spray bottle and apply on anything that you want to clean. But the smell can be off putting so add essential oils such as eucalyptus, lemon, and tea tree. The essential oils also improve the vinegar’s cleaning property. 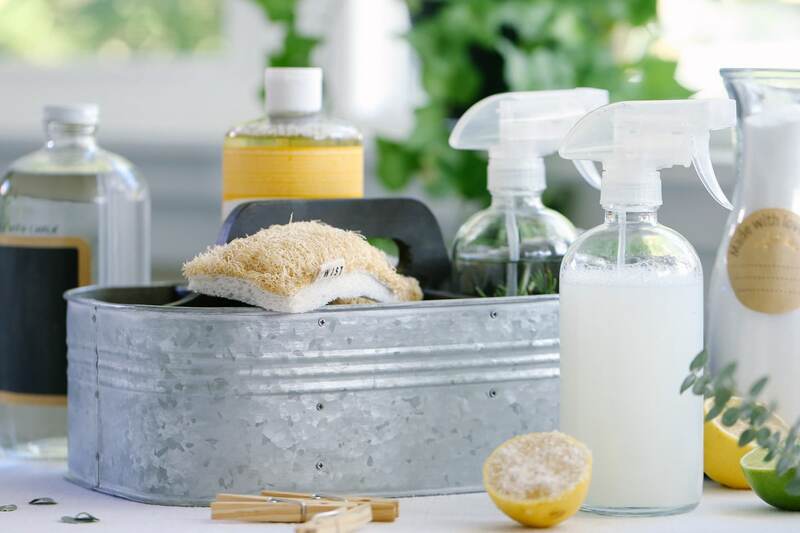 These are only some of the septic tank safe household cleaners that you can use. Feel free to search for more of them and consult your septic expert about them.